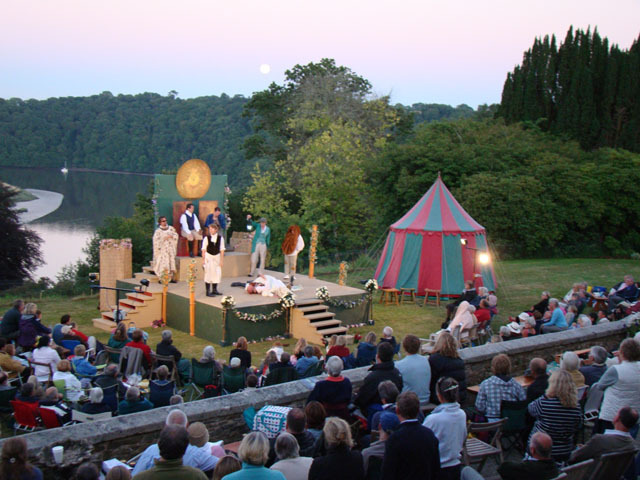 This summer sees a wonderful array of open air theatrical productions across Cornwall. From Pentillie Castle near Saltash all the way down to The Minack Theatre near Land’s End, and with performances as varied as George’s Marvellous Medicine, Spamalot, Wuthering Heights and Dead Dog in a Suitcase, there really is something for everyone. Pack a picnic, be prepared for all weather, sit back and enjoy the show. 25 June 7.30pm Wuthering Heights with the Cambridge Touring Theatre. Gardens open from 5pm. 31 July 7.30pm Romeo and Juliet with the Lord Chamberlain’s Men. It is the tenth anniversary of the LCM and they have an all-male cast, just as in Shakespeare’s day. We’re looking forward to seeing Juliet! Gardens open from 5pm. 28 August 6pm Robin Hood with Illyria Theatre. A children’s performance suitable for those 5 yrs and older. Gardens open from 4pm. Refreshments and a bar will be available at all performances, with hot tagines and pies to warm you up if the evenings come in rather cool. Guests are asked to wear suitable clothing and bring low backed seating or picnic rugs. Tickets are available online and cost £15 for adults and £10 for children. Family tickets for Robin Hood are £40. For more information please contact Pentillie Castle on 01579 350044 or email [email protected]. Catch the last few days of The Miracle Theatre’s highly acclaimed comedy, The Case of the Frightened Lady, as their tour comes to an end in Penzance. Performances 23-27 June at The Minack Theatre and 28 June at Penlee Park Theatre. 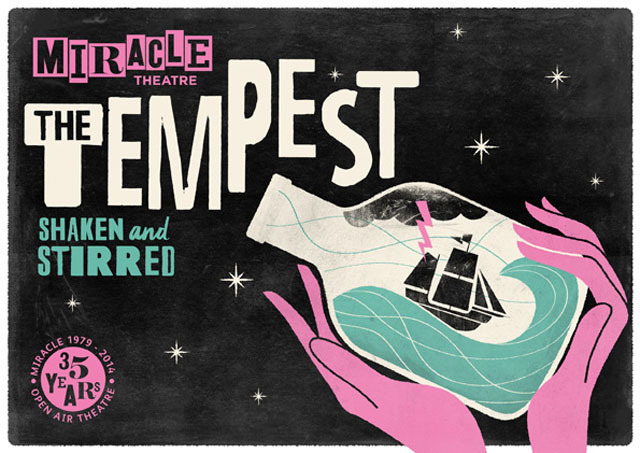 The Miracle Theatre is also bringing a new adaptation of The Tempest to Cornwall this summer. With the strap line “shaken and stirred” you can expect an innovative adaptation by Bill Scott, adding Miracle’s humour and energy whilst remaining true to Shakespeare’s original play. Touring across Cornwall from 13 June until 30 August, the play opens at Sterts in Liskeard and ends at Trebah Garden, via Tresco Abbey Gardens, Truro Cathedral Green and Restormel Castle amongst many others. For the full programme and ticket information visit their website. As well as a performance of Miracle Theatre’s The Tempest on 20 August, Heligan will play host to the Kneehigh’s Asylum Theatre for four weeks in September. 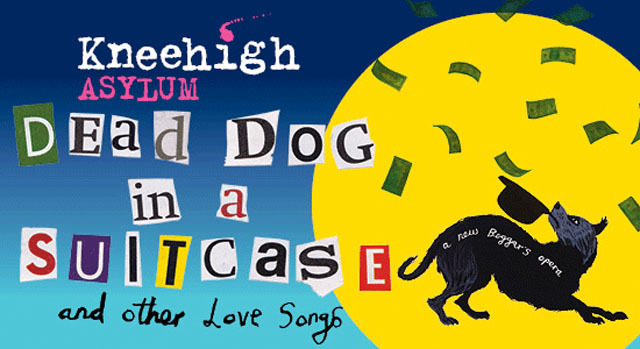 Dead Dog in a Suitcase (and other love songs) is a contemporary musical satire based on The Beggar’s Opera. Vibrant and upbeat, witty and wonderful, the performance will be held in Kneehigh’s famous nomadic Asylum theatre tent. Heligan’s restaurant will be open before the show, serving up delicious homegrown and locally sourced food, and the gardens will be open too. Tickets available online, priced at £24 for adults, with tickets including all day garden entry for £30 (concessions available). The Old Quay House Hotel in Fowey is offering a Theatre Package, including two nights luxury accommodation and breakfast, dinner at the hotel one night and at Heligan the other, and theatre tickets, priced at £495 for two people. Quantum Theatre are bringing the family favourite Alice Through the Looking Glass to Trebah on 26 June. The play will take place down on the beach, where hot and cold drinks will be available. Tickets are priced at £12 per adult and £6 per child and are available at Trebah’s entrance desk or online from Cornish Riveria Box Office or by phoning 01726 879500. 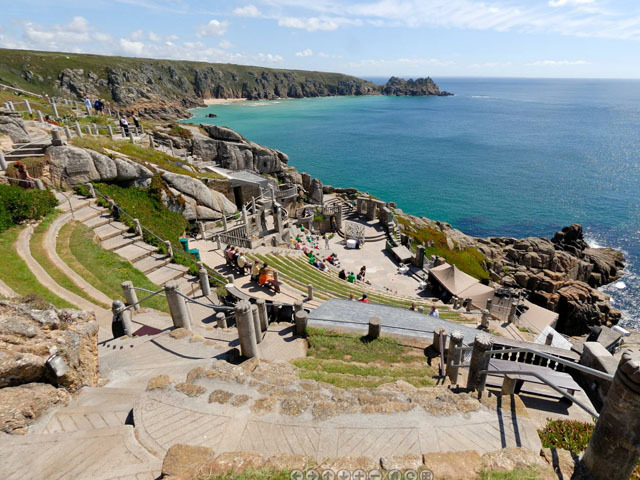 The Minack Theatre is one of Cornwall’s iconic landmarks, carved into the cliffs and perched high up above Porthcurno, near Land’s End. If you haven’t yet discovered it, then it is definitely worth a visit. There’s a huge programme of events at The Minack over the summer, including various Shakespeare plays, Far From the Madding Crowd, H.M.S. Pinafore and Dracula. For a full list of performances visit their website, and for reservations phone the box office on 01736 810181. The Lost Gardens of Heligan and Wildworks Theatre Company are working together towards 100: The Day Our World Changed, a unique day of remembrance and commemoration to mark the outbreak of The First World War. The day will re-tell and re-live the lives of the brave men who went to war and the families they left behind. It’s a day for the community, about the community and involving as many of the community as possible. On 3 August 2014, this dawn to dusk powerful and emotional experience will move from the harbour in Mevagissey to the sweeping fields of Heligan. It will involve stunning visual images, memorable new music, WildWorks theatre makers and many local people of all ages coming together and creating a day of remembrance against a ‘living stage’ of traditional practices and poppy fields at The Lost Gardens. If you would like to be involved, get in touch via their Facebook page. 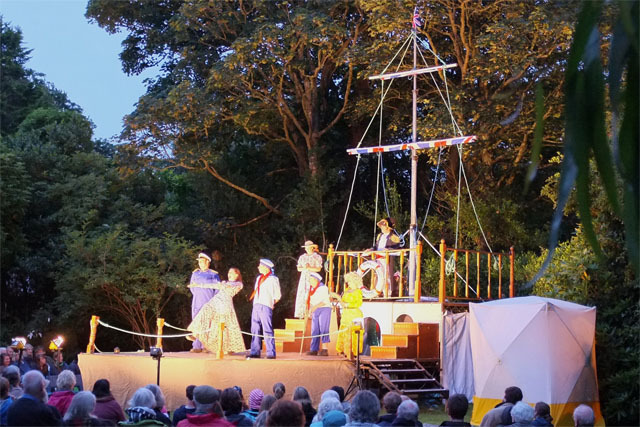 Open from June until September and set in beautiful sheltered surroundings in Penlee Park, this open-air 300-seater theatre presents both professional and amateur theatre, opera, comedy and music from both national and local touring companies. This summer’s performances include Dancing Diggers, Stones and Bones, and The Pirates of Penzance. You can book online or call the box office on 01726 879500. Tell us about any performances that you’re involved with by commenting below, or sending an email.